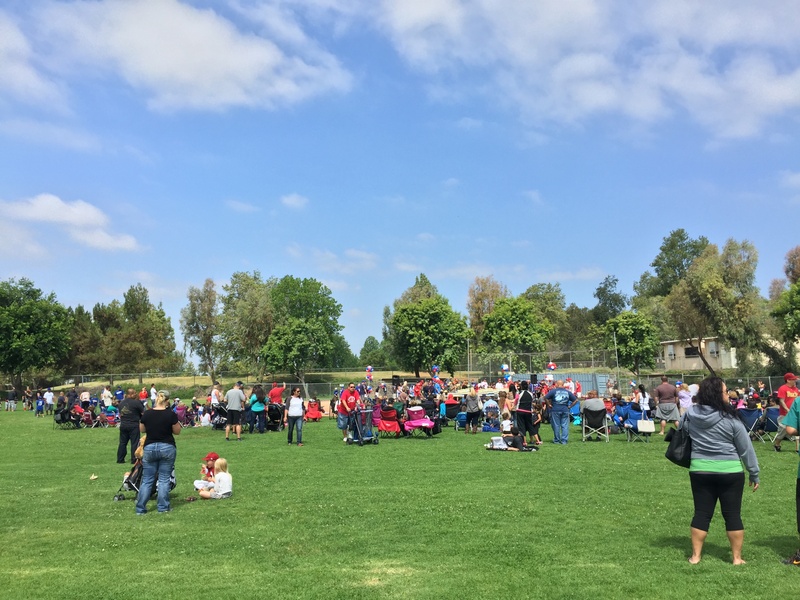 On Saturday June 06, 2015 the Deer Canyon Little League held its 2015 Spring season closing awards ceremony at Deer Canyon Elementary – West field behind school at 10225 Hamilton St, Alta Loma. The event was attended by all of the coaches, parents, fans, umpires and athletes. Throughout the season each team is sponsored by a local community business and is ran by volunteers in order to raise money to operate. The Hanover Group at Keller Williams Realty had the privilege of sponsoring the T-ball Dodgers throughout their 2015 season and is looking forward to continuing with their league sponsorship and community involvement. Raoul Amescua & Vianey Ojeda, Team Owners of The Hanover Group at Keller Williams Realty arrived early in order to donate a 2015 Easton Mako XL 2 Little League Bat (over $300.00) at the closing awards ceremony. The Hanover Group sold raffle tickets to raise funds for the league with the help of some parent volunteers (Brett and Cassy Seanoa), along with Deer Canyon Little League players (Cole and Troy Seanoa). At the conclusion of the awards ceremony Raoul and Vianey drew the winning ticket of the 2015 Easton Mako XL2 Little League Youth Bat, and the Easton Mako bat was presented the bat to Deer Canyon Little League player Gergory Chodos and his mom, Suzanne Chodos. The ceremony concluded by announcing that The Hanover Group at Keller Williams Realty raised over $600.00 by raffling off the Easton bat, all of which was donated back to the league. Needless to say that Gregory was excited to win the bat since his grandfather had actually promised him that same bat at the conclusion of the season. Mother, Suzanne was very generous in donating back the bat to Gregory’s grandfather, saving him about $300.00. So in the end it was all about giving back. Giving back and volunteering is a major constant with The Deer Canyon Little League. This was hugely apparent at the League’s closing ceremony when the announcement was made that this year the Little Leaguer’s raised over $18,000.00 in candy bar sales and that their snack bar raised over $22,000.00 in profit. This obviously would not be possible if it was not for the parents, friends, family members and the athletes making the League a joint venture for success. •Learns the skill, tactics and strategies of the game and improves as a player. 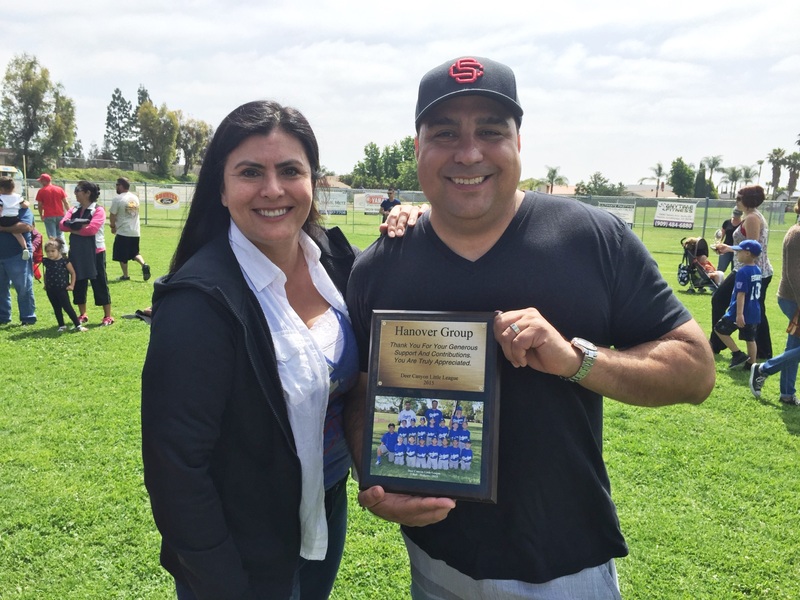 Deer Canyon Little League recognize coaches most directly make this mission possible. So they do their best to provide all coaches with the tools to succeed. And are committed to creating a culture in which coaches, parents, fans, umpires and athletes work together to achieve their mission. Visit www.cityofrc.us/cityhall/cs/sports/orgs.asp to learn more about other Non-City Sponsored Youth Sports in the Rancho Cucamonga – Alta Loma community.